Representatives of the International Committee of the Red Cross have once again visited the Azerbaijani hostages Dilgam Asgarov and Shahbaz Guliyev, Ilaha Huseynova, Spokeswoman for the ICRC Baku office, told Trend on September 11. During the visit, the ICRC representatives monitored the conditions of the hostages’ detention and treatment. 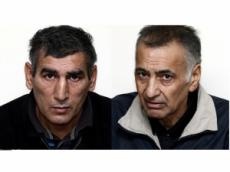 Asgarov and Guliyev have been kept hostage by Armenian militaries in the occupied Nagorno-Karabakh region of Azerbaijan for more than four years already. They were detained by the Armenian armed forces in July 2014 while visiting their native places and graves of loved ones in the occupied Azerbaijani Kalbajar region. Moreover, Armenian armed forces killed the third Azerbaijani Hasan Hasanov. Later, Guliyev and Asgarov were judged illegally by the unrecognized courts of the separatist regime in the occupied Nagorno-Karabakh. Following an expedited “judicial process” in December 2015, Asgarov was sentenced to life imprisonment and Guliyev – to 22 years in prison. Azerbaijan’s State Committee on Affairs of Refugees and IDPs, the State Commission on Prisoners of War, Hostages and Missing Persons and other agencies have repeatedly urged international organizations, including the ICRC, to assist in release of Guliyev and Asgarov, whilst the problem remains topical yet. In June 2018, Chairman of the Azerbaijan Bar Association Anar Bagirov informed that documents and videos on tortures against Asgarov and Guliyev were submitted to the European Court of Human Rights. Thousands of Azerbaijanis went missing and were taken hostages by the Armenian side as a result of the Armenia-Azerbaijan Nagorno-Karabakh conflict. Azerbaijan State Commission on Prisoners of War, Hostages and Missing Persons has so far registered 3,875 missing persons, of whom 3,610 are males and 265 are females. In addition, the State Commission has information that 871 people were captured by the Armenian side.